Now that the Glo cheat has been casted and blocked, I guess the next thing to do is to move on to something else. Yesterday I posted the Etisalat (9mobile) cheat with 51 VPN but not everyone is able to use it while other complained about the speed. In this post I will be posting a new unlimited browsing cheat for 9mobile users but unlike the rest, this is not really free. 9mobile has a YouTube plan which let's you watch YouTube videos via the app or website only for two hours and it cost N400. In this post I will actually show you how to power all apps and download unlimitedly using the 9mobile YouTube subscription. As I said earlier, this is unlimited but the validity is for 2 hours. The first thing you need to do is to subscribe to the 9mobile YouTube 2hours plan. >> Dial *200*3*3*3# to Subscribe to 9mobile YouTube 2hours plan. >> After successfully subscribing to the plan, follow the steps below to power all other apps with the subscription. >> AnonyTun VPN Mod DOWNLOAD HERE. 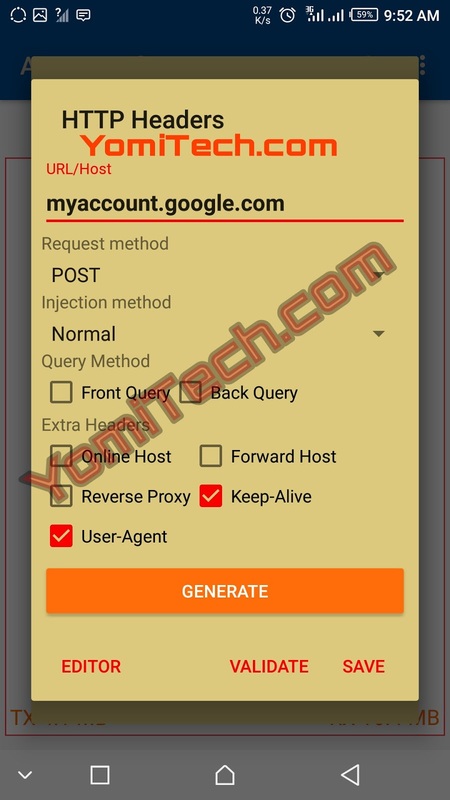 >> Download and install AnonyTun Beta V5.0 Apk by Click Here. Click on CONECTAR then wait a few seconds for AnonyTun Beta to connect. Note: This will only last for 2 hours so it's advisable you have a very stable and strong internet connection before you proceed. While this cheat is good for downloading, you can manage the 51 VPN or 60MB daily cheat for regular internet browsing. The YouTube subscription is originally from 1am to 5am.....so of I subscribe by 1:10am, will of last till 5am?? ?